J. Golden Kimball is reported to have said, “The Lord himself must like a joke or he wouldn’t have made some of you people.” Whether that’s true or not, we all enjoy a good laugh. It’s been said, “Laughter is the best medicine — you can take it any time, you can’t overdose, you don’t have to show a prescription card, and the only harmful side effect comes if you happen to be drinking milk at the time!” Laughter makes life more enjoyable, more interesting, or at least more tolerable! 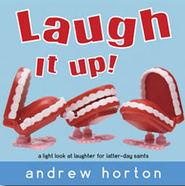 Latter-Day Laughs is a side-splitting collection of the best humor from all time favorite LDS speakers. You’ll hear hilarious stories and anecdotes from Jack Marshall, Troy Dunn, Lucile Johnson, Douglas Brinley, Joni Hilton, William Wait, Michael Allred, Curtis Jacobs, Emmett Smith, and more. Also included are more quips from the legendary J. Golden Kimball himself. Whether you’re feeling a little blue and could use a pick-me-up or your funny bone just needs a little tickling, Latter-Day Laughs is just what the doctor ordered! 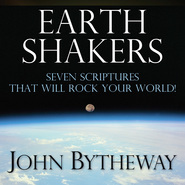 I enjoyed this collection, though most of it is from older talks, I was expecting some newer material. It was very short for price. 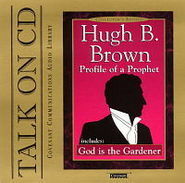 would like to see it redone as a two cd set with more stuff. I travel a lot for work and can always use a good laugh!